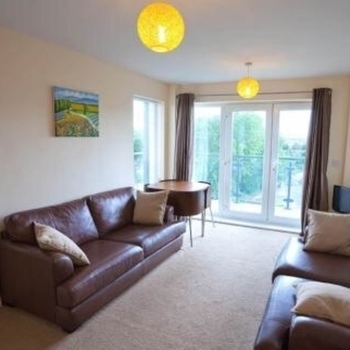 Set in a stunning waterside location at the heart of Cardiff Bay and only less than a Kilometre away from Cardiff City Centre. It's the perfect place for eating or relaxing with a drink in one of the many Restaurants, Bars and Cafe's that make up Mermaid Quay. This fabulous apartment has upgraded specifications such as under floor heating and enjoys a large "wrap around" balcony with fabulous water views and dedicated parking. Perfect for families, couples and groups of friends. We also have very special rates for business travellers. These fabulous apartments combine the comfort of a luxury hotel with the convenience of your very own modern and stylish self-catering apartment. You'll find here a diverse mix of internationally acclaimed visitor attractions, activities and entertainment, coupled with vibrant, cosmopolitan bars, shops and restaurants all situated around the magnificent freshwater lake, giving Cardiff's waterfront a truly unique atmosphere worthy of any capital city. 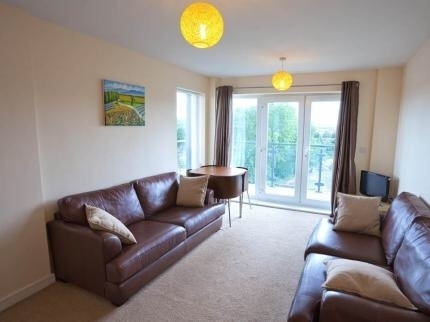 Although just minutes away from the city centre, this waterfront apartment is a world away from the bustle of city life and makes a great base for exploring the Bay, the rest of the city and South Wales. Any property occupied is strictly on the basis that the accommodation is for holiday use only and that no right to remain in the property after the end of the holiday period booked exists for the person or persons who occupy the property. All persons will vacate the property at the conclusion of the period of the holiday booking. This booking/agreement is made on the basis that the property is to be occupied by you and any other occupiers (the tenant) for a holiday as mentioned in the [Housing Act 1988 Schedule 1 paragraph 9 OR Housing (Scotland) Act 1988 Schedule 4 paragraph 8] and you therefore acknowledge that this booking/agreement shall not confer on the you or any other occupiers (the tenant) any security of tenure within the terms of that Act. PLEASE NOTE THAT THESE CONDITIONS CONSTITUTE AN EXCLUDED AGREEMENT UNDER S. 3A(7)(A) OF THE PROTECTION FROM EVICTION ACT 1977 (AS AMENDED) AND CANNOT BE CONSTRUED AS AN ASSURED TENANCY UNDER THE HOUSING ACT 1988 (AS AMENDED). STRICTLY NO PARTIES ALLOWED. Should it become apparent that a party is proceeding in disrespect of this restriction, steps will be taken to curtail the event and your stay in the apartment will be terminated without refund.